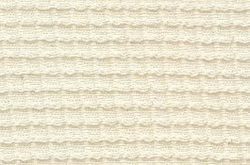 Our company is devotedly engaged in offering a wide range of Cotton Blended Waffle Fabrics, which is highly demanded in the industry. These fabrics are available in various designs and patterns for our respected clients to meet their exact requirements. The offered range of waffle fabrics is highly appreciated for their seamless quality and creative designs. Established in the year 1945, Shree Jam Hosiery Works Pvt. Ltd. is one of the distinguished names indulged in the business of manufacturing, exporting, wholesaling and trading to our clients a quality rich spectrum of Polyester Dyed Fabrics, Jacquard Dyed Fabrics, Dishes Cloth, Greige Fabrics, Dyed Fabrics, Polyester and Viscose Blended Yarn, Mens T Shirts and Polyester and Cotton Fabrics. Using top class basic material and advanced tools, these are designed and developed with excellence. Moreover, these are checked sternly on a number of grounds to maintain their reliability at the end of our customers. Not only this, these are accessible with us in a variety of patterns, designs and colors to match with our clients changing requirements.